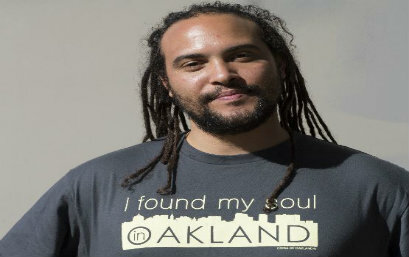 Nap Nat (Jesse Childs) is an artist, musician, writer and youth advocate from the Bay Area. A California native, Nap Nat attended college at the University of Chicago where he studied African and African American Studies, as well as studied abroad for an academic year in Tanzania and Ethiopia. He is currently pursuing a professional degree in Entertainment Industry Management at Carnegie Mellon University and completing the third book in a trilogy of novels. Additionally, he is a DJ on WRCT in Pittsburgh and performing hip-hop artist and songwriter. He speaks Spanish and Swahili and is vocal concerning the African Diaspora, particularly youth issues. He serves as a mentor and activist while addressing the conditions of Black society with solutions-based ideas and art forms.